As part of the health movement in our state, Forestville Union School District joins the State Department of Education in stressing the need for healthy kids. Please see that your child comes to school with a good, nutritional snack. We discourage sending sweet treats with your child for snack and encourage to send “brain food”…fruit, cheese, vegetables, and complex grains. 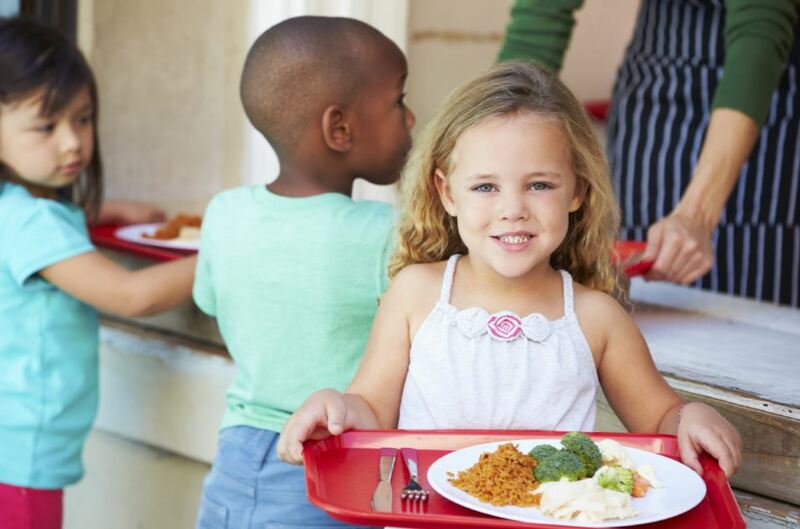 It is important that you and your child communicate about lunches and snacks so that your child does not waste food and is able to have a good nutritious snack to help sustain concentration during the school day. If your child is throwing food away or bringing snacks home at the end of the day, perhaps you should consider changing the foods you send. It is the parents’ responsibility to make sure that children come to school properly nourished and ready to learn. Children may bring their lunches from home or buy them at school. The district provides a nutritional hot lunch program. Breakfast – Is offered daily from 8 – 8:25 AM in the Multi. 4th – 6th graders can also get breakfast during their first recess at 10 AM. Breakfast costs $2.00 per meal. 7th – 8th graders can also get breakfast at their first break. Lunch – Hot lunch is served daily. Our kitchen philosophy is offer vs. serve. We ask our students to choose 3 of the items offered each day. One of which must be a fruit. Lunch costs $4.00 per meal. Milk – Reduced Fat and Non-Fat Milk are offered at $.40 per carton. Chocolate milk is available on Wednesdays and Fridays. Reduced lunches are $.40 and breakfasts are free. A la carte milk is $.40.